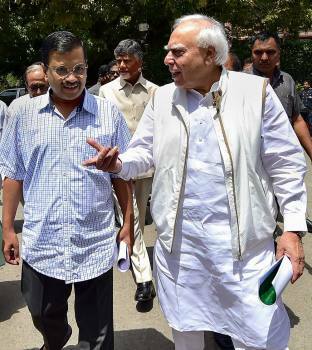 Delhi Chief Minister Arvind Kejriwal with Senior Congress leader Kapil Sibal after an opposition leaders meeting in New Delhi. 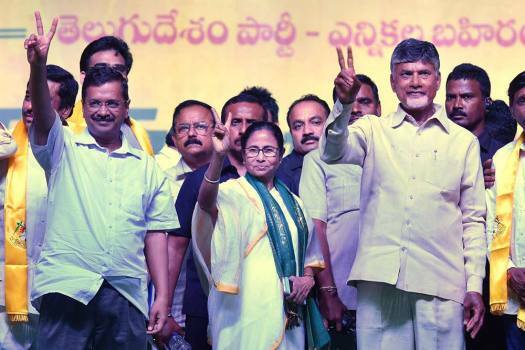 Delhi Chief Minister Arvind Kejriwal waves at an election campaign rally in New Delhi's Trilokapuri area. 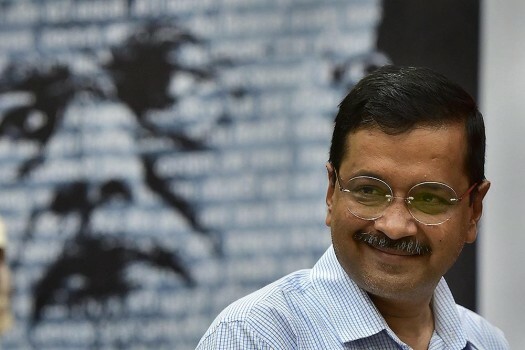 Delhi Chief Minister Arvind Kejriwal at the launch of book 'Vada Faramoshi', written by Neeraj Kumar, Sanjoy Basu and Shashi Shekhar, at Constitution Club in New Delhi. 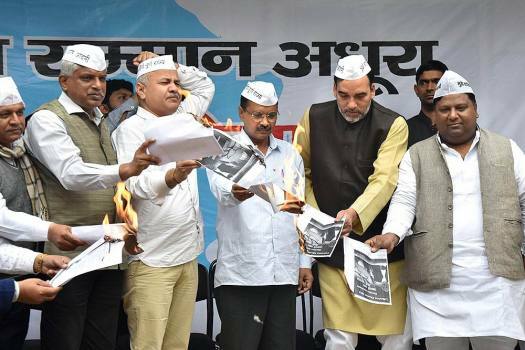 Delhi Chief Minister and AAP convernor Arvind Kejriwal, his deputy Manish Sisodia and other party leaders burn BJP manifesto in relation to providing full statehood to Delhi. 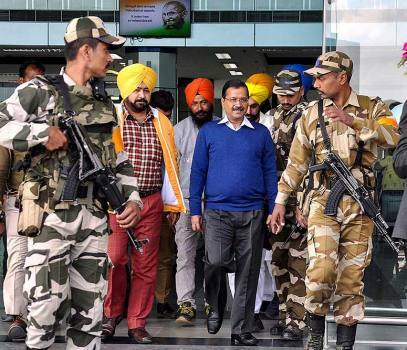 Aam Aadmi Party (AAP) convener and Delhi chief minister Arvind Kejriwal arrives to attend the wedding reception of AAP MLA Baljinder Kaur and Sukhraj Bal, in Amritsar. 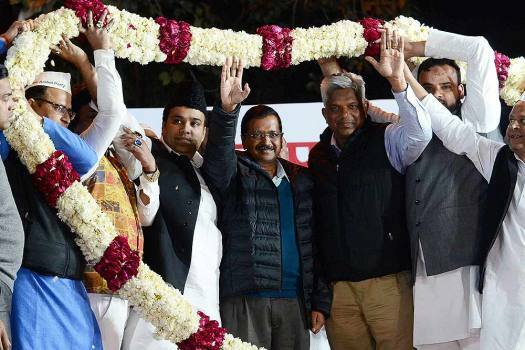 Delhi Chief Minister Arvind Kejriwal waves as AAP leaders garland him during a public meeting, in the walled city area of New Delhi. Delhi Chief Minister Arvind Kejriwal arrives to visit Karol Bagh's Hotel Arpit Palace where a massive fire broke out, in New Delhi. 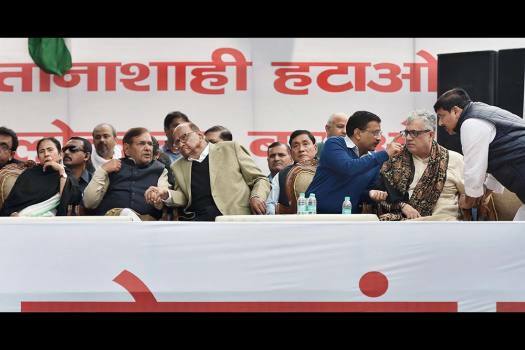 Delhi Chief Minister Arvind Kejriwal at an event, in Hisar. 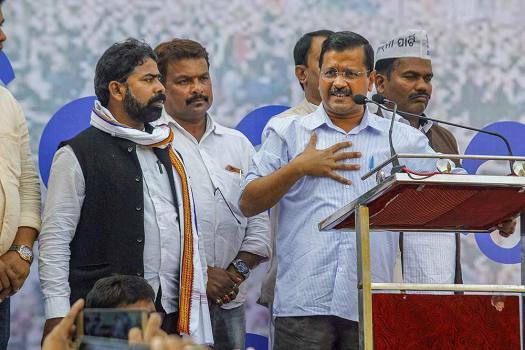 AAP leader and Delhi Chief Minister Arvind Kejriwal addresses a public meeting 'Samajik Nyay Abhiyaan' in Bhubaneswar. 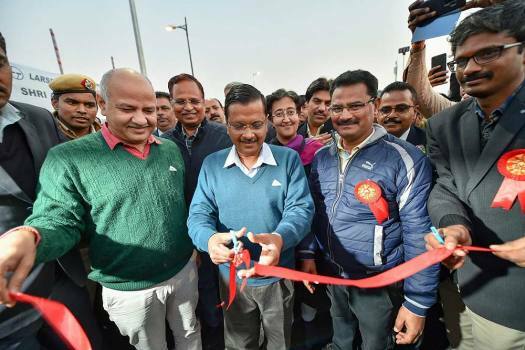 Delhi Chief Minister Arvind Kejriwal and Deputy Chief Minister Manish Sisodia during the inauguration of Mayur Vihar Phase-I flyover, in New Delhi. 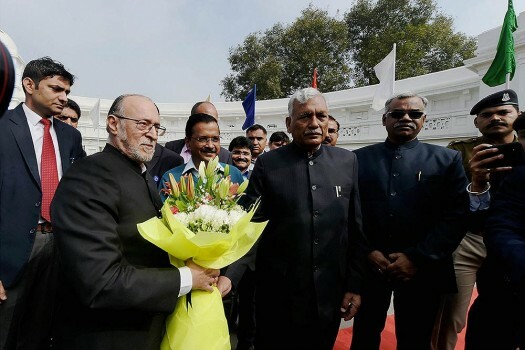 Delhi Deputy Chief Minister Manish Sisodia said that giving three seats to the Congress in the national capital would mean 'giving three seats to the BJP'. 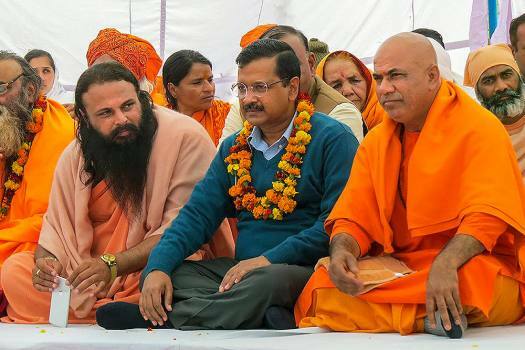 Arvind Kejriwal slammed Amit Shah for a recent comment at a poll rally in West Bengal that the BJP, if re-elected, would remove infiltrators from the country, except those who are Hindu, Buddhist or Sikh. 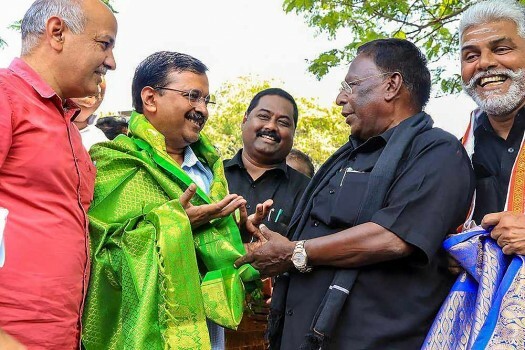 Congress' in-charge for Delhi P C Chacko said Congress will go alone in Delhi since AAP has taken an 'impractical stand'. 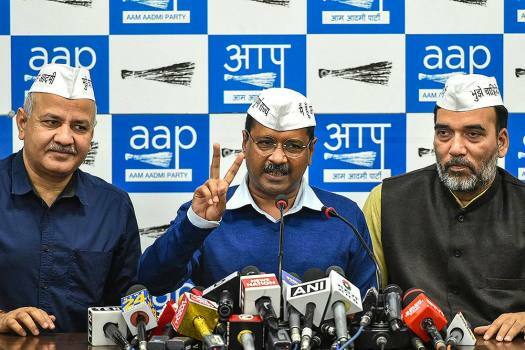 The Aam Aadmi Party chief Arvind Kejriwal also alleged that what Pakistan could not do in 70 years, their "friend" PM Narendra Modi did it in five years -- that is damaging India's brotherhood. 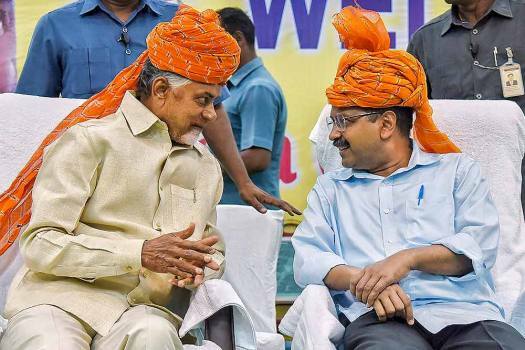 According to sources, the Aam Aadmi Party and Congress may forge an alliance in Delhi and Haryana for the forthcoming Lok Sabha elections and discussions on Punjab seats will be carried out later. 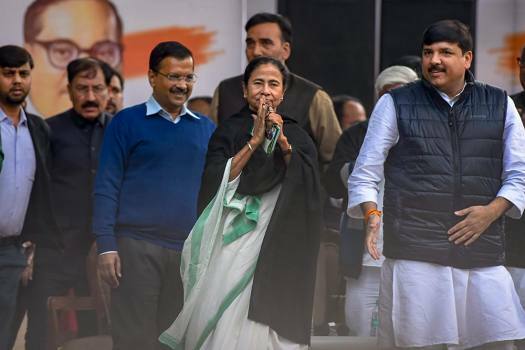 Many agree that the Kejriwal government did bring education into focus and infused energy into a moribund system that ran a thousand-odd schools in Delhi. 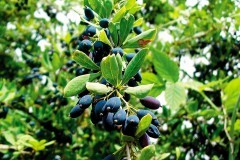 But there is a flip side to the feel-good story. 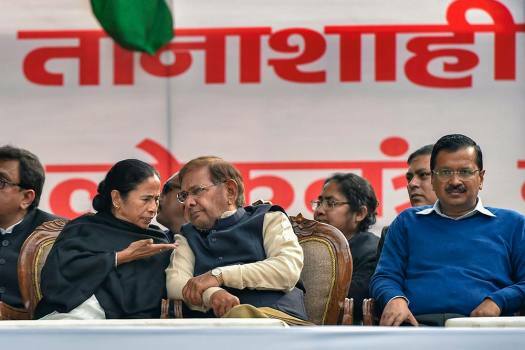 Can Opposition Parties Put Up A Credible Alliance To Take On BJP? 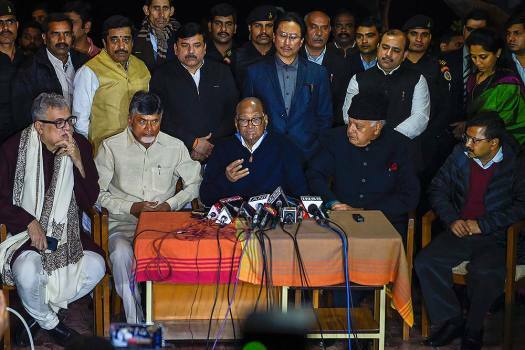 Most of the opposition leaders admit that they prefer state-wise alliances rather than a national alliance to strengthen their cadre base. Post-poll strategies could be worked out depending on the numbers, they say. A loud complaint at his janata darbar irks ‘noble’ Trivendra Singh, who shouts back and hands the schoolteacher over to his police. 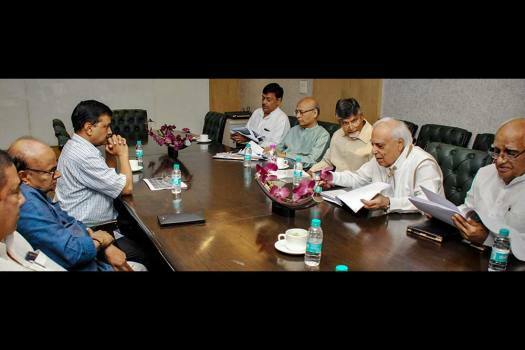 The woman was released later, but the CM had his angelic image come crashing.